James Buchanan as seen in his senior yearbook photo from Menasha High School. James Wesley Buchanan, class of 1943, was the second known African-American graduate of the University of Wisconsin School of Pharmacy. Buchanan excelled in academics and athletics at Menasha High School before coming to the School of Pharmacy, where he was a founding member and a leader of the University of Wisconsin American Pharmaceutical Association student chapter. After graduating in 1943, Buchanan served in the Army Air Force and was then, for many years, a respected community pharmacist on the South Side of Chicago. Buchanan was not the first known African-American graduate of the School of Pharmacy—a distinction that goes to Leo Vinton Butts, class of 1920—but the fact that he was inspired to ask such a question was indicative of the general lack of diversity at UW and at the School of Pharmacy in the early 1940s. James Buchanan (left) as a member of the 1933-34 Menasha High School Ice Hockey team. James Buchanan was born on September 17, 1916, in Otsego, Michigan. He was the second youngest of Edward and Mattye Buchanan’s six children. Edward Buchanan spent his entire career working in paper mills, and he moved his family to Menasha, Wisconsin, in 1922, after he was hired by the John Strange Paper Company. The elder Buchanan worked his way up at the Strange Paper Company and retired as an Assistant Superintendent in the late 1940s, an unusual position of authority at the time for an African-American. James Buchanan, along with his five brothers and sisters, attended St. Patrick’s Grade School and then Menasha High School, where, like his father, he consistently assumed leadership positions. He was twice elected President of his class, and, during his senior year of 1933-34, he was co-editor of the Nicolet student yearbook. He served as President of the Menasha High School chapter of the National Forensic League, and he was a member of the National Honor Society and the Latin Club. Buchanan was heavily involved in athletics, too, playing on the varsity football, basketball, and tennis teams. He also represented Menasha High School on the ice, making him (probably) one of the earliest African-American high school ice hockey players in Wisconsin. In the 1934 Menasha High School yearbook, Buchanan’s classmates wrote that “personality plus intelligence… has made Jim one of the outstanding students in school.” After graduation, he continued to attain leadership roles that were unusual for African-Americans in the 1930s. During the depths of the Great Depression, he was unable to immediately afford higher education, so he remained in his hometown. In the fall of 1934, Menasha High School hired Buchanan as the head coach for its freshman football team and as an assistant coach for the varsity football team. James Buchanan (left, kneeling) with the Menasha High School football coaching staff in 1934. James Buchanan moved to Madison and enrolled at the University of Wisconsin in about 1938 around the same time as his younger sister Gloria. Throughout his time in Madison, Buchanan seems to have lived in the old YMCA dormitory at 740 Langdon Street (now the site of Alumni Park). While a student he worked 21 hours per week at the Thomas Restaurant located at 841 University Avenue (now the site of Vilas Hall). Listing of the “Original Officers” of the Univ. of Wis. Pharmaceutical Society, including Secretary James Buchanan, in the Society’s minutes book from 1942. 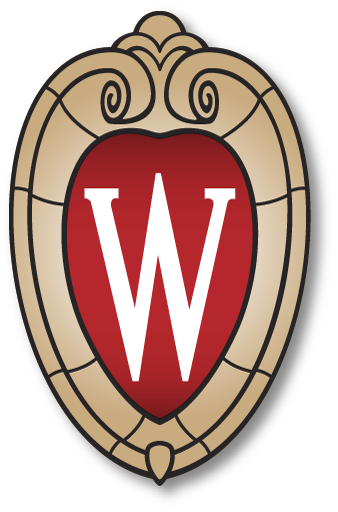 Unfortunately, there is not much extant information about Buchanan’s time at the UW School of Pharmacy, but he did continue to assume leadership roles while on campus. On January 13, 1942, he was one of the 49 founding members of the University of Wisconsin Pharmaceutical Society—an organization that was quickly recognized as the official UW student chapter of the American Pharmaceutical Association. In the student group’s inaugural election, Buchanan beat three other candidates to be elected Secretary of the Wisconsin Pharmaceutical Society. The details of the rest of his wartime service, however, are currently unknown. After the war, Buchanan moved to Chicago where several of his sisters lived. In 1947, he was hired by Walgreens as an Assistant Manager for its store at the corner of 55th Street and South Michigan Avenue, and he would remain with the company for the rest of his career. That same year, he married Esperance Farmer, a graduate of DePaul University, and the couple would have two children. 1966 Walgreens advertisement from the Chicago Defender featuring James Buchanan. The following year, the Defender observed that Buchanan “has earned a reputation for dispensing smiles as well as prescriptions,” explaining that “his natural courtesy and friendliness makes it natural for James to greet customers each day with a big smile.” Walgreens recognized his years of service with a gold cup and awarded him the title of “Most Courteous Employee.” Later in 1966, Walgreens promoted Buchanan to Store Manager at the South Michigan Avenue location. By 1983, Buchanan had retired from Walgreens, and he continued to live in Chicago where he died on August 21, 1998. For too many years, the School of Pharmacy has been “unable to record” this “facet” of its history, because Buchanan’s achievements were soon forgotten after he left campus. Thirty-two years after he penned his letter to the Wisconsin Alumnus, however, we can finally answer his question and say, that, as far as we know, James W. Buchanan was the second African-American graduate of the University of Wisconsin School of Pharmacy.